It all began in 2017 for Dale Sanders. 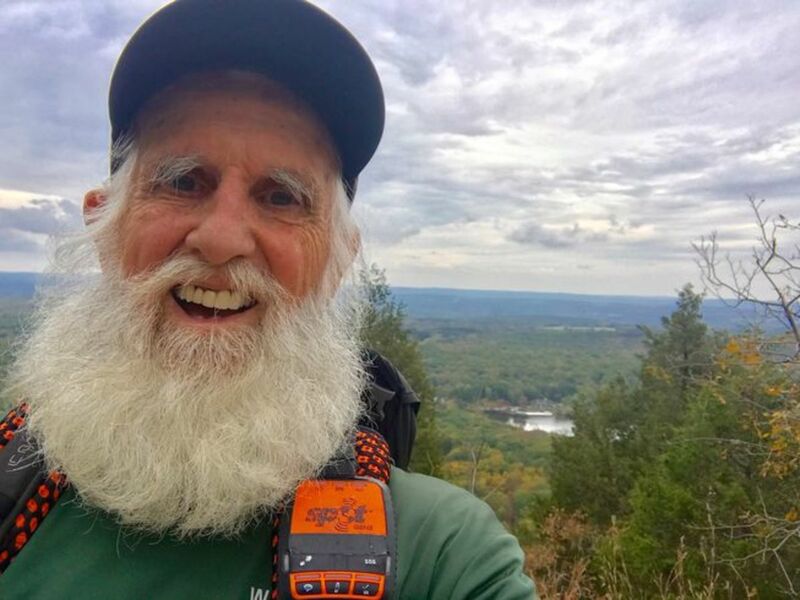 He was an 82-year-old man wearing a backpack and heading out to hike the 2,190 mile Appalachian Trail. 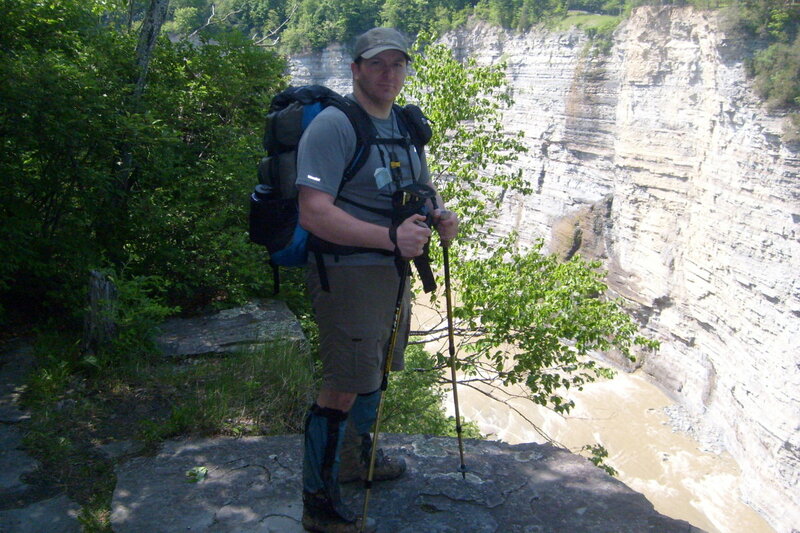 Over 3,000 people each year attempt to thru-hike the entire length of the trail. According to the Appalachian Trail Conservancy, only 25 percent of those who attempt it actually completes the entire trail. 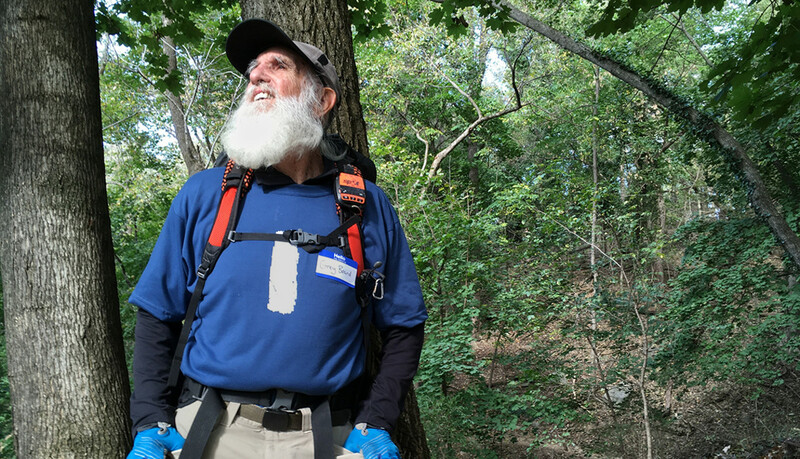 Dale Sanders is a person who’s actually two years older than the Appalachian Trail. 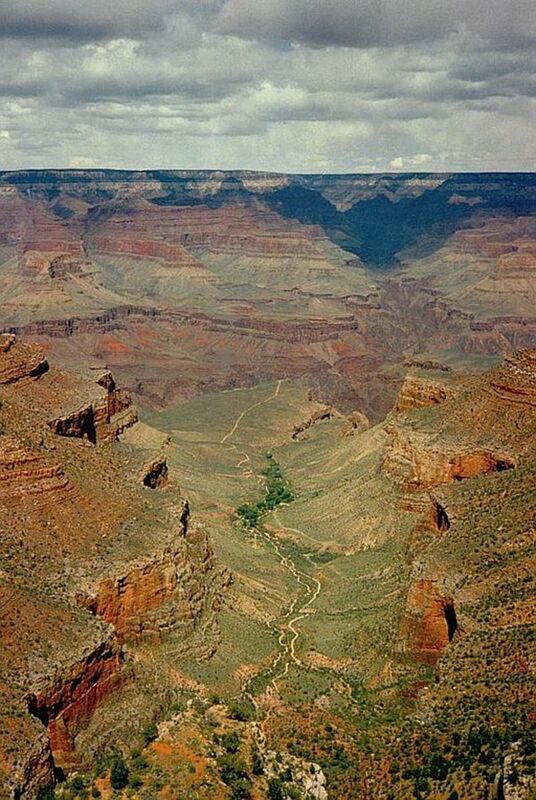 It was officially connected and able to handle people who wanted to hike its entire length in 1937. Sanders hiked the Appalachian Trail in a sequence known as a flip-flop. This means he hiked from Georgia north to Harpers Ferry in West Virginia. He then went to Maine and hiked south back to Harpers Ferry. 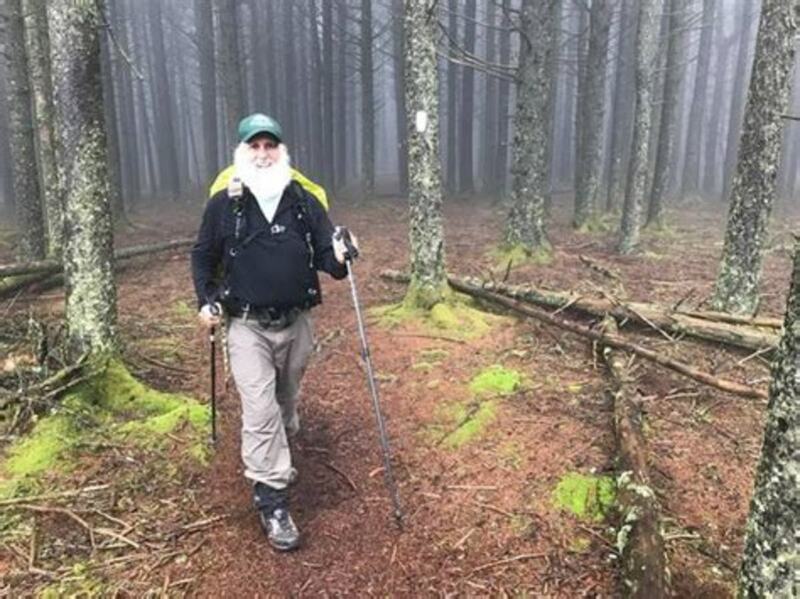 Prior to attempting his hike of the Appalachian Trail, Sanders had never spent more than two weeks hiking. It's common for people to have trial names. These are nicknames given to people who are then known by them as they hike the trail. Dale Sanders was no exception. With the large, bushy, white hair covering his face, it was easy to call him “Grey Beard.” Sander's trail name was given to him by other hikers on the trail. Most of them were in their 20s. During the time he spent hiking on the trail he wore a tracker. This made it possible for people back at his home to know his location at all times. He hiked most of the trail alone. Much of the time he had no problems, but there were also times he faced serious challenges. There is a section of the Appalachian Trail in Maine known as the 100-Mile Wilderness. This is a section of the trail where there is no easy way to resupply or be in contact with society for 100 miles. 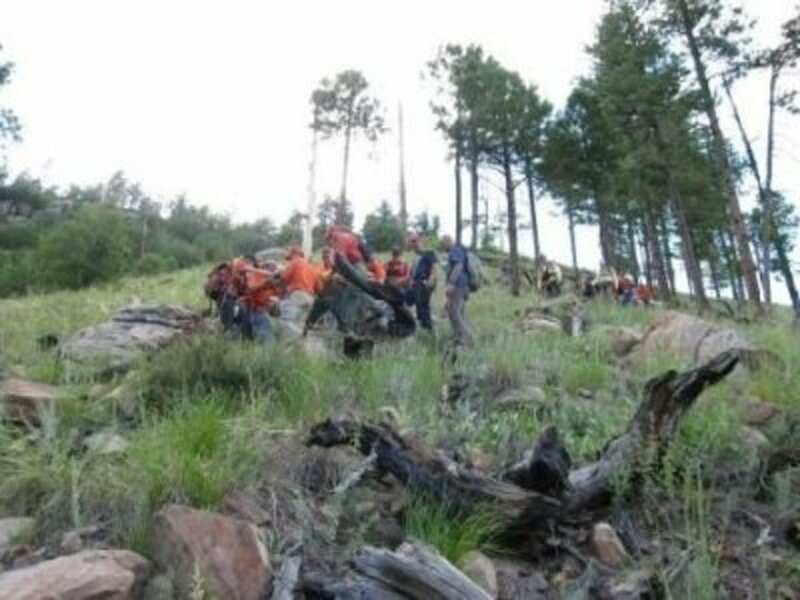 While hiking the 100-Mile Wilderness, Sanders experienced pain and heart palpitations. He contacted his wife who notified their physician. After a consultation with his physician, it was determined Sanders could be suffering from internal bleeding. He was given some suggestions on how to handle it. Sanders followed them and in a short period of time felt well enough to continue on his journey. After feeling better, he consulted his wife and physician and then was on his way. 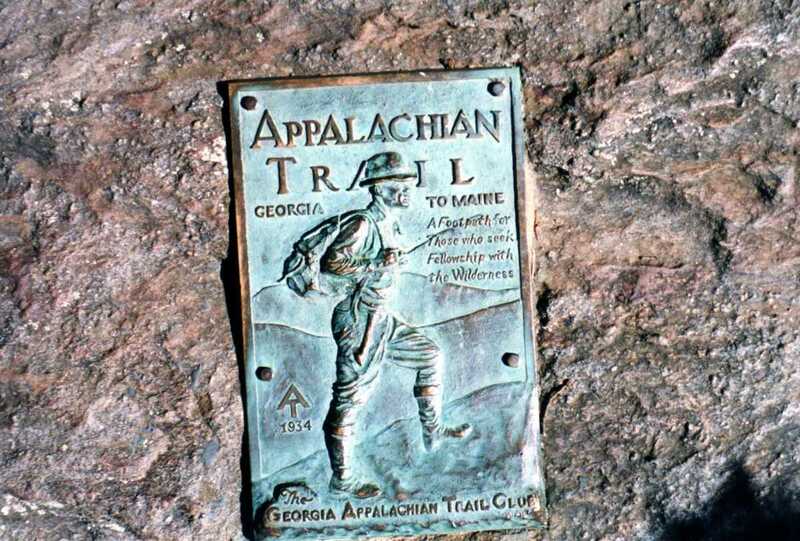 Hiking the Appalachian Trail is a very physically and emotionally demanding experience. When hiking alone on the trail, Sanders would experience moments where he felt overwhelmingly depressed. It was during this time he experienced people he called trail angels. These are individuals who saw a story about Sanders on the internet or heard about him on the trail. Many of these people were in their 20s. They would seek out Sanders and hike a section of the trail with him. He was impressed by how many of them had very upbeat attitudes about hiking the trail. Sanders found their enthusiasm for the experience contagious. One of them told Sanders they would like to be just like him when they reached his age. It was comments like this and other positive things that helped Sanders continue on the trail and ultimately finish it. Dale Sanders is no stranger to completing impressive feats that amaze people. A few years ago he was able to paddle the entire length of the Mississippi River. When Sanders paddled the Mississippi River from source to sea, he was given the Spirit of Adventure Award from Kayak Magazine. Dale Sanders was the oldest person to successfully complete this journey. In 1959, he was able to break the world record for holding his breath underwater. In 1965, he was the International Underwater Spearfishing Association (IUSA) spearfishing athlete of the year. Dale Sanders grew up in Kentucky. His family owned and operated a tobacco farm. During his early life, he worked at various jobs including circus acrobat, lifeguard, selling cotton candy and more. He did an enlistment in the Navy starting in 1958. Sanders worked for 50 years as a program administrator for parks and recreation. During this time, he spent 37 years with the Department of the Navy. Sanders also has a Masters Degree from Pepperdine University located in Malibu, California. 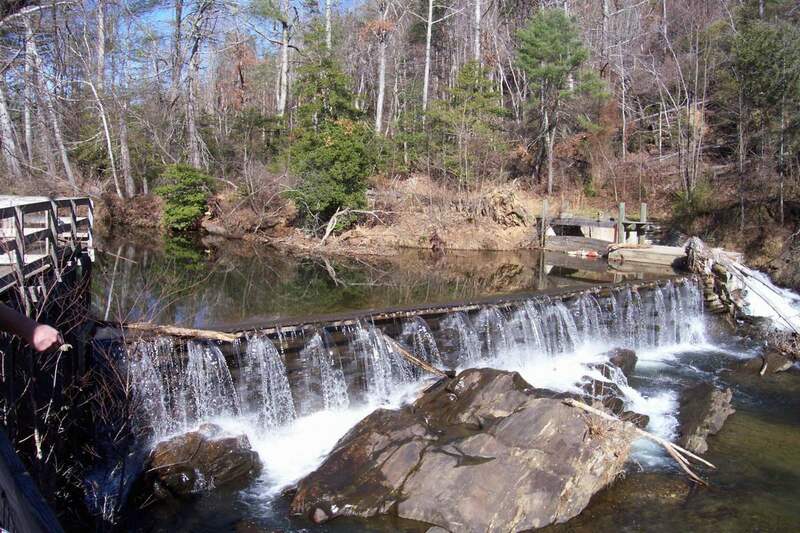 After his retirement became official, Dale Sanders began working for the Wolf River Conservancy based in Memphis, Tennessee. Prior to this, he would regularly volunteer for the conservancy. In 2013, he joined their staff and worked as Director of Outreach. Dale Sanders admits during the hike he would use his age to his advantage when possible. There are times when hiking the Appalachian Trail when it's necessary to hitch-hike. Sanders said he didn't hitch-hike, but flagged down cars. He would tell them his story and people would invite him into their vehicle. They would always take him wherever he wanted to go. 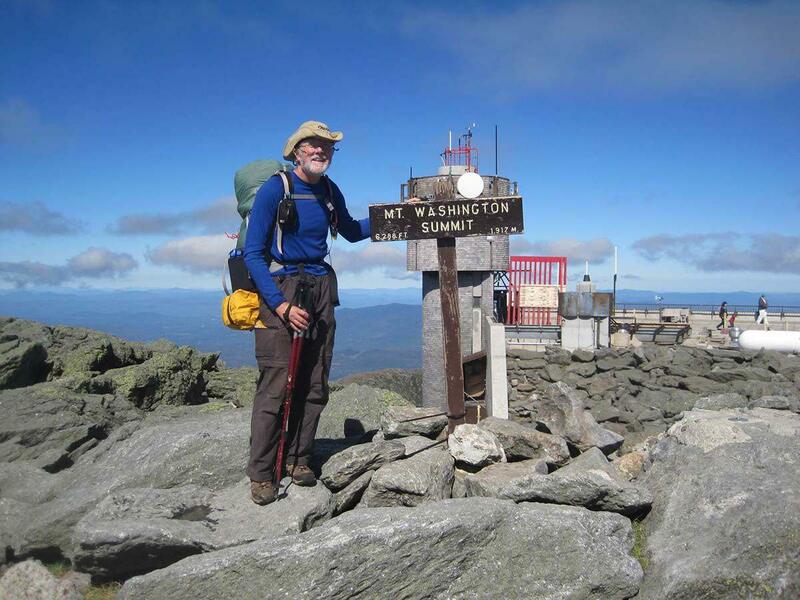 Dale Sanders experienced a number of falls during the time he hiked the Appalachian trail. He estimates he fell up to 30 times. According to Sanders, he fell the most when hiking the New Hampshire section of the trail. It's a place with a rugged terrain as well as many slick rocks. When he was hiking down Kinsman Mountain, he slipped and fell so hard on his hip, he wasn't sure he'd make it to a camping spot by nightfall. It didn't stop him. 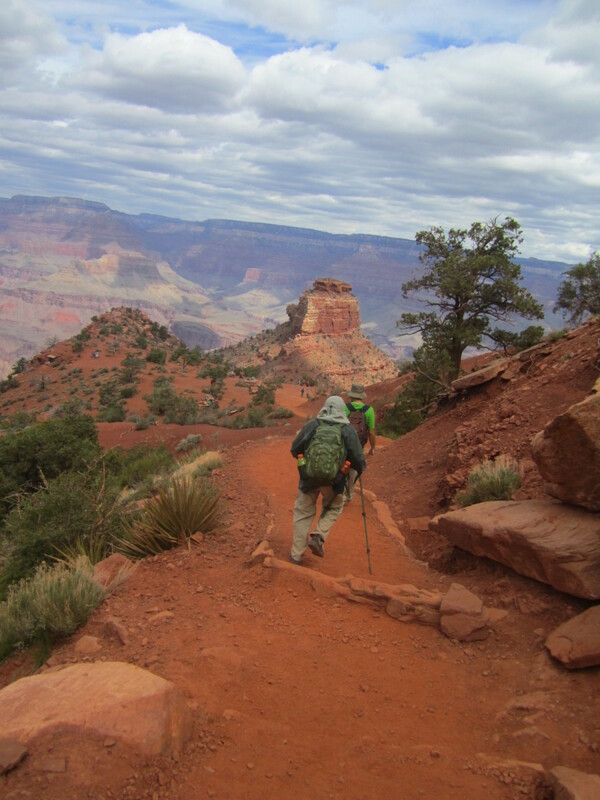 Sanders continued with his sore hip to a camping spot as well as complete the trail. Dale Sanders estimates his steps are 30 inches each. 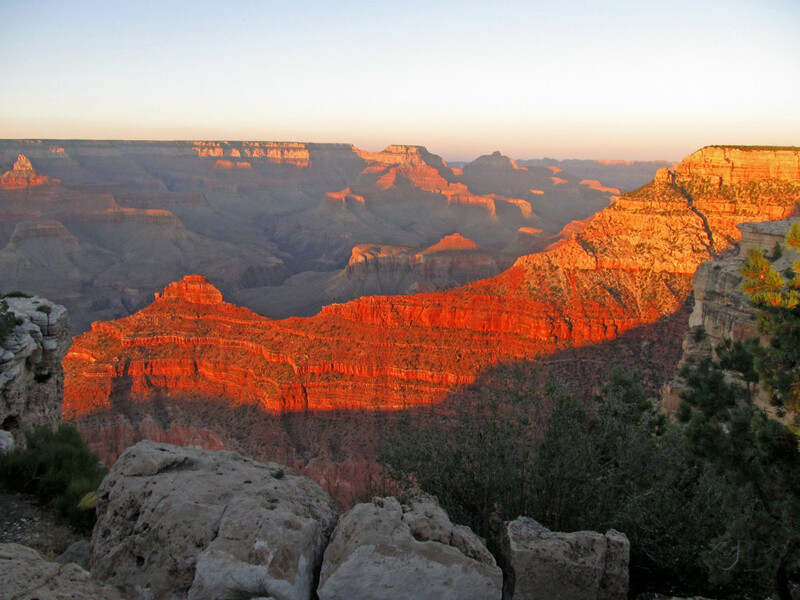 Using this figure, he estimates it took him over 4,600,250 steps to hike the entire trail. He hiked past thousands of white blazes that mark the trail. When he saw the last one on his hike, Sanders took off his hat and kissed it. 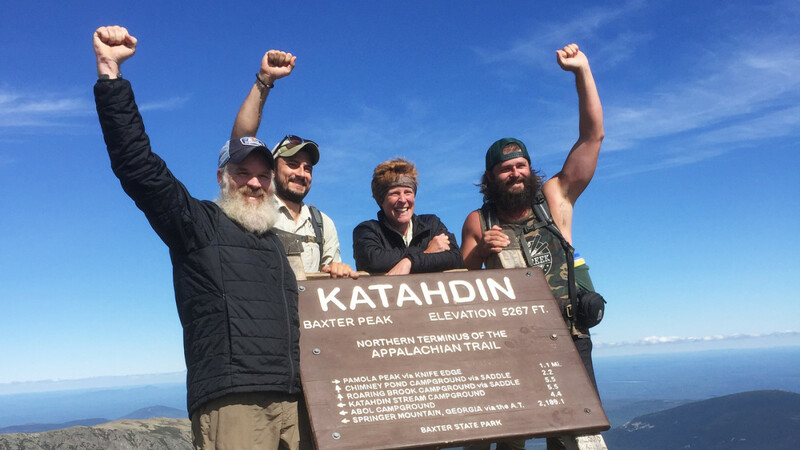 During the last mile of the Appalachian Trail, Sanders had friends, family, and other hikers join him. This entourage also included two dogs he had met on the trail. When he reached the Appalachian Trail Conservancy, he couldn't hide his happiness and danced a jig. After this, he hugged his wife and gladly accepted a glass of sparkling cider. Jason, thanks. I found Dale Sanders a real inspiration. I've hiked the Appalachian Trail at a much younger age. It was a real challenge for me, I can only imagine what he endured. He is an inspiration. This hub proves to us all that if we have determination and persistence we can go through it all. We could achieve everything we aim to achieve. Despite numerous numbers of fall, if you learn how to get up and go on, certainly you could reach your aimed destination. Thanks Mike for this inspiring hub. Keep writing! Mike -- (June 11, 2018/11:07 a.m., CDST.) -- I agree with you 100%. You nailed it by publishing such a deep, wonderful hub. I appreciate you and your gift from writing. Be sure to never quit touching the lives of those around you. And keep me in touch. Kenneth, thanks. I did the Appalachian Trail a few years ago and I can tell you, it's an amazing thing to do, especially at 82 years old. The trail is very physically demanding for a much younger guy. Dale Sanders is an inspiration to us all. Thanks for publishing such a good piece of writing. Chris, I guess your son is somewhere in Massachusetts or Connecticut. Beautiful area. I wish your son luck as doing the Appalachian Trail is not an easy thing. Mike, My son, Dan, is somewhere around mile 1500. I'm sending him the link to your article. This is an inspiring story. Thanks for sharing it. Flourishanyway, that is a good question. I want to believe they were someone's dogs who took care of them. That’s wonderful that the trail angels found and encouraged him along the way. I wonder what happened to the two dogs he found along the way. Mary, I agree with you. He is an inspiration. My father played full games of golf until he was 86-years-old. So, I guess attitude is everything. What an amazing challenge to take on at 82. I truly admire him. It makes me know I can do wonders even at 82. I am still years from there so I better start now. Eric, I agree with you. I hiked the Appalachian Trail and trust me, it is not easy feat. There are things I struggled with when I was much younger. Yeah, this is a good guy. I only did about 15 miles there. This article is very cool. My elder son just helped me out on good backcountry route in the Grand. What a man. I admire him for doing this hike.